Circus into School specialise in working with KS1, reception, year 1, year 2 . 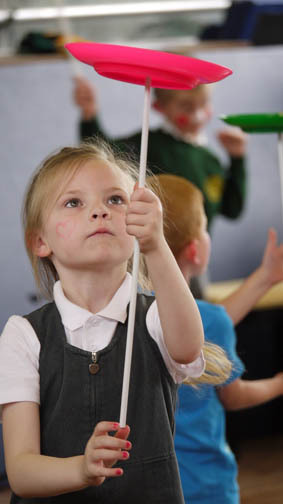 The children really enjoy Circus Skills Activities and can learn a wide range of skills, at the end they can perform to their peers or even to their parents. ☆ Circus Workshops for 1-2 hours with a range of great age appropriate circus activities. This can finish with children showing off their skills, to the group or a younger group or to their parents! ☆ Left / Hand Right Hand Workshops - this focuses on co-ordination and involves skills that are easier to access. Children are very involved in helping to teach each other patterns and skills.This is a lovely activity and great fun. Circus into Schools works across the South West, including Cornwall, Devon, Dorset, Somerset, Hampshire, Wiltshire, Oxfordshire and West London.